Home/Debrah Santi L. A c.
Debrah Santi M.S. L.Ac. is a nationally board certified acupuncturist. Debrah is an empathic practitioner and uniquely integrates her wisdom, intuition, and knowledge to address each clients specific needs. 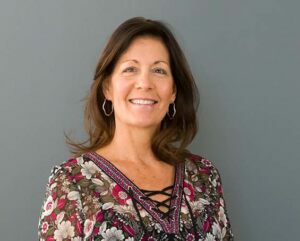 Debrah’s passion for health and emotional and physical wellness has led her on a lifelong journey of learning both Eastern and Western medicine and philosophy. Debrah lives a heart centered life and believes that love and kindness to oneself is essential to our health and happiness. Debrah’s goal is to support you in achieving your goals in attaining optimal health and emotional and physical wellness. Together we will work together healing body, mind and spirit. Acupuncture facilitates the body’s innate healing abilities. Our bodies are incredible systems that can rebuild bone, muscle, tissues and nerves, and regulate hormones and brain chemistry all at the same time. There is no panacea for any one disease or disorder, according to Chinese Medicine. That’s why we take the time to sit down together and discuss your specific symptoms and concerns, and formulate a treatment protocol that is personalized to your unique body and life. Treatment protocols are adjusted as your health goals are attained. In this way, we accomplish long-term solutions not just band-aids to make symptoms go away. A common Concern is that it hurts. After all, you are getting stuck with needles. Fear of pain is one of the most common reasons people avoid acupuncture. Acupuncture does not hurt. Upon insertion of a needle, you might feel a variety of sensations. Some people feel a mild aching. Or maybe a little bit of heaviness, a feeling of distention, or warmth. Any of those are really good signs—it means we’re stimulating the body correctly by activating blood and Qi. These should be comfortable sensations, that promote relaxation. Acupuncture has been used in traditional Chinese medicine for the past 3,000 years. The fundamental philosophy of TCM is Vital energy or qi, which when in balance will flow smoothly throughout the entire body. When there is stagnation or blocked qi the is disharmony that get manifest in many ways such as pain, digestive disorders, insomnia and many other conditions. Acupuncture address the pattern of disharmony by treating the whole person, balancing the energy, and stimulating healing in the body. Cupping is a form of ancient Chinese medicine used in the treatment of pain syndromes, digestive diseases, respiratory diseases, and gynecological disorders. Glass cups are used with heat or suction to gently draw the skin and superficial layers of Fascia or connective tissue upwards into the cup. The vacuum effect helps to release the layers of adhesions in the tissues, reduce pain and break up muscular knots. There are three different techniques that may be used. Facial rejuvenation is an effective non-surgical, painless way to reduce the signs of aging, regenerate the skin cells, and stimulate the production of collagen. Hair-thin sterile single use disposable needles are gently inserted into specific points on the face and body to facilitate the movement of blood and increases local circulation around the face. Through a truly holistic approach, it works by giving cosmetic benefits and simultaneously generating vitality and radiance from the inside out – this is so much more than just another cosmetic procedure. Esoteric Acupuncture is a new field of acupuncture developed by Dr. Mikio Sankey which combines several systems of energy medicine. Ayurvedic Medicine from India, the oldest documented system of medicine in the world, describes a system of energy centers in the body called Chakras. Encoding Patterns or the Chakra Balancing Patterns, are created by using acupuncture needle in the exact sequence that is given for each pattern. The correct sequencing of the acupuncture points will create a spin field that allows the recipient of the treatment to access higher frequencies for expanded consciousness. By raising the vibrations of your Heart Center and connecting this center with all your denser frequency fields of consciousness we can access & activate inner stillness meditation and/or other frequency alignments. We have all heard the term “you are what you eat”. In Chinese Medicine we say, “food is medicine”. Our culture has been inundated in the news about the toxic chemicals that are being used in our food production as well as the latest fads in diets. There is no panacea to health. We as individuals must take an active role in how we choose to feed our bodies. Let’s explore the needs of your body to repair, restore and optimize your health. Most conditions take more than 3 sessions to see improvement. The discount enjoyed by buying a package is meant to encourage you to follow through on your recommended course of treatment, so that you may fully realize the benefits of acupuncture and Chinese medicine. I ask that you please arrive to your appointment on time. This is your time, and you will be charged for any time scheduled. Please provide 24-hour notice of cancellation for your scheduled appointments. Anything less will be charged accordingly. Your payment is due in full at the time of service. I accept cash, checks, debit and credit cards. In the case that any checks are returned to us as unpaid by your bank, you will be charged an additional $25.